I have always loved fishing. 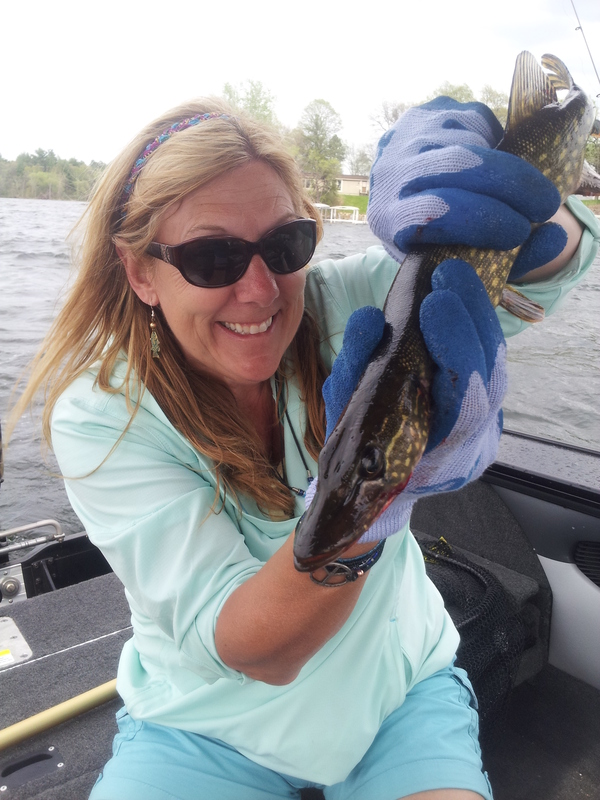 One of my first dates with my husband of 28 years was fishing in a small lake that was stocked with Bass. It was like fishing in a barrel. I thought the guy was the best fisherman I had ever met. 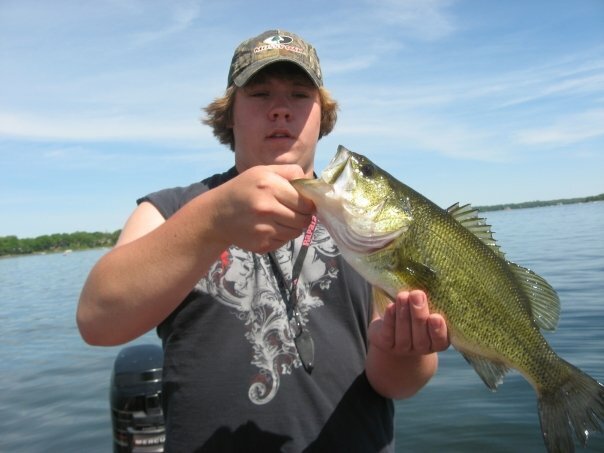 He told me years later that the lake was a private lake stocked with tons of Bass for non motorized fishing by the owner of the company he was working for at the time. He had special permission to fish it that day. He was clearly trying to impress me and it worked. We have been fishing together for 28 years and now that we are empty nesters we take our boat to Kabatogama for a week of big fishing adventures once a year. So far we have not become lost in the wilderness, which is a real possibility up there, and we have some gorgeous pictures and some very fond memories of driving our boat to the historic Kettle Falls Hotel. It is a fun way to spend time together. 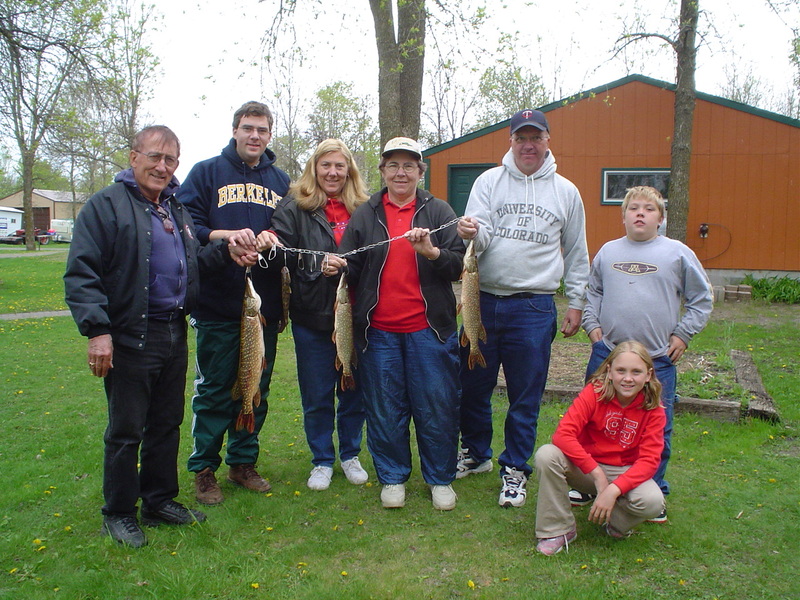 Everyone in the family, including my parents who are now in their Eighties, take part in the fishing opener each year. Our family scrambles around for months before fishing opener, deciding where we are going and guessing about the weather. The anticipation and planning are all part of the fun. We don’t all go to the same place every year, but some of us get together depending on who is available. No matter where everyone is fishing, we all have our cell phones and we send pictures back and forth of our catches. We call it the brag line. I remember one opener that we spent with my parents and my kids at my brother John’s lake home near St. Cloud. The weather that year was less than ideal, with rain, sleet and snow. We dressed as we would for ice fishing, but we never caught so many fish. We had multiple boats on the water, and my kids and I were on my brother’s pontoon, which we fondly call the party barge. I think it is one of the biggest pontoons that they make and it even has a bathroom on board. It is perfect for taking the kids along. My brother has always had the patience of a saint, so he hung in there with my kids who managed to take turns repeatedly tangling their lines. Despite the tangled lines and bathroom breaks, we all caught fish that year. My brother barely got his line in the water when one of us would be yelling that we had a fish on and he had to g et the net. It was a hell of a fishing opener. When we got back to shore, and before any staking of the fish, there had to be group pictures holding our catches and also comparing to see who caught the biggest or the longest, or the smallest. We have a lot of fish pictures, because we take pictures of them no matter the size or the kind. I remember another year where my mom and dad, and my husband Joe and I were in the same boat on the opener. The fish were not biting at all that year, but we had beautiful weather and we had a lot of good conversation. As we talked and trolled around the lake in the sunshine, my mom went to cast her line out and accidentally threw her entire rod over board. We all saw it, but it took a minute to register what she had done and to take any action. By the time we got the dip net to try to retrieve it, we were all laughing so hard; it had sunk like a rock, so there was no hope. It took my mom a while to laugh about it. She was in shock and kept saying she just didn’t know how that happened. The more she tried to explain it, the funnier it got. We still talk about it to this day and tease her about throwing her rod away, just because the fish were not biting. Many people talk about fishing stories, but it is because of the crazy things that happen in boats while fishing. You cannot make this stuff up. 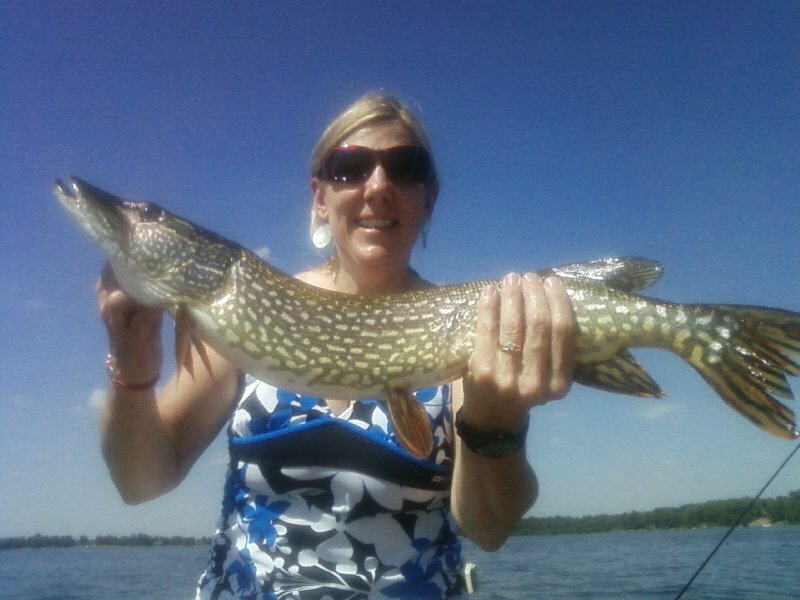 We were fishing Green Lake with my parents just a few years ago and my Dad caught a really large Northern. We put it into the live well, even though it barely fit. The live well aerator stopped running, because the fish was up against it. My dad went to open the live well to fix the aerator and that Northern jumped clean out of the live well in the back of the boat and into the lake. It was gone. That is one that if I had not seen it myself, I would have said they were making it up. I wish I would have had a camera in hand. The look on my dad’s face was worth a thousand words. I have never seen him so stunned. We were all speechless for a second and than started laughing and said it was good he jumped out because he was clearly part dolphin anyway. We have so many fond memories of fishing excursions. One thing has become clear over the years. Fishing has little to do with the actual fish that we catch. One year my sister in law and I both caught carp and proudly took photos of those ugly things. Fishing has more to do with spending time with parents, grandparents and kids, in the sunshine or the sleet, on the water and more importantly together. Those moments with others which leave us with a lifetime of memories of happy moments and funny stories and time spent with family. Fishing has been one of those things that helped bring us all together in a shared life. It brought Joe and me together so long ago, as a couple and it brought us close to our kids over the years and our kids with their grandparents and uncles and aunts. The fishing connection is one of family and fun and most importantly time spent together. It cannot be overrated.